+1 (510) 429-1400 or email us to intsales@mizuhosi.com to learn more about the Mizuho OSI products that are available in your area, or connect with a local distributor by clicking on the link below. Mizuho OSI offers a full line of high quality, versatile surgical tables. These reliable, General Surgical Tables are engineered to allow efficient imaging, maneuvering and surgeon access to accommodate a variety of procedures and hospital requirements. 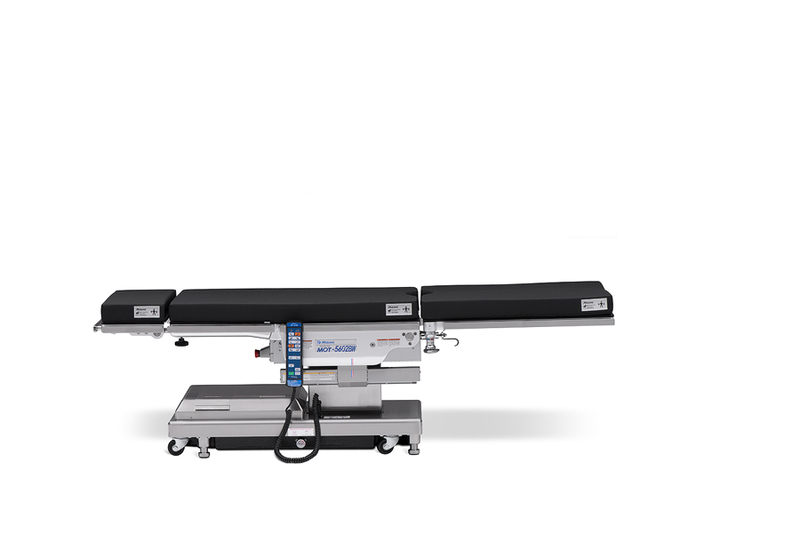 The MOT-5602BW offers a generous top slide range of 53 cm for improved C-arm access. 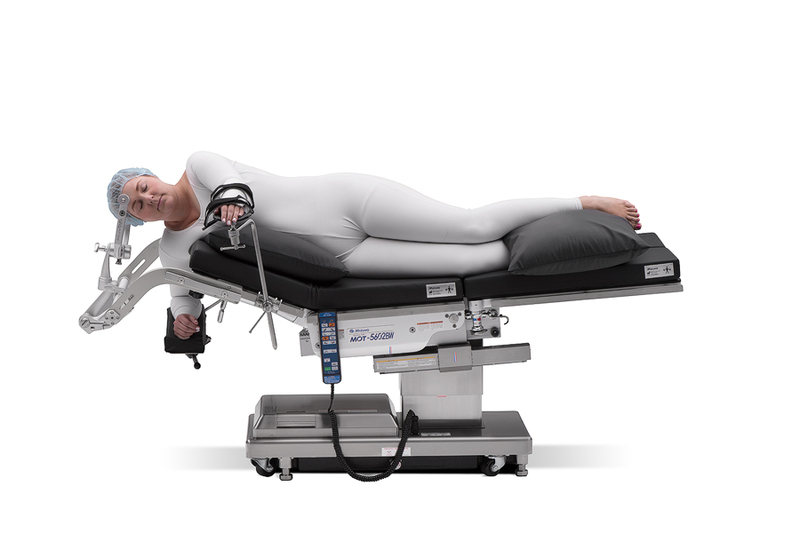 The extreme low height of 52 cm is ideal for laparoscopic procedures. 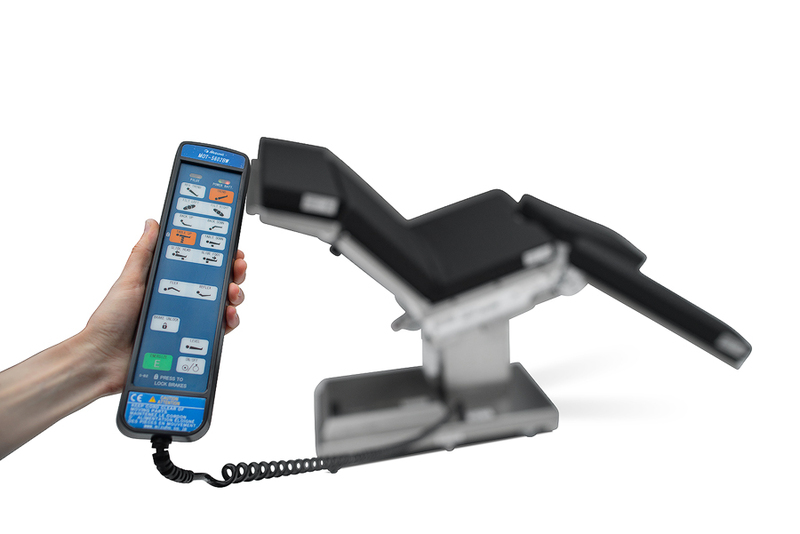 The 5602BW is capable of lifting and articulating patients weighing up to 250 kg. 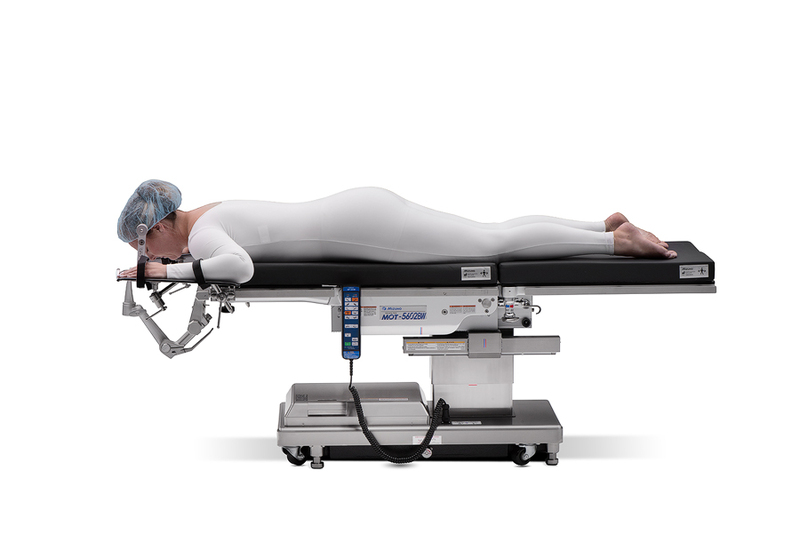 This allows safe and repeatable positioning for patients and operating room staff. 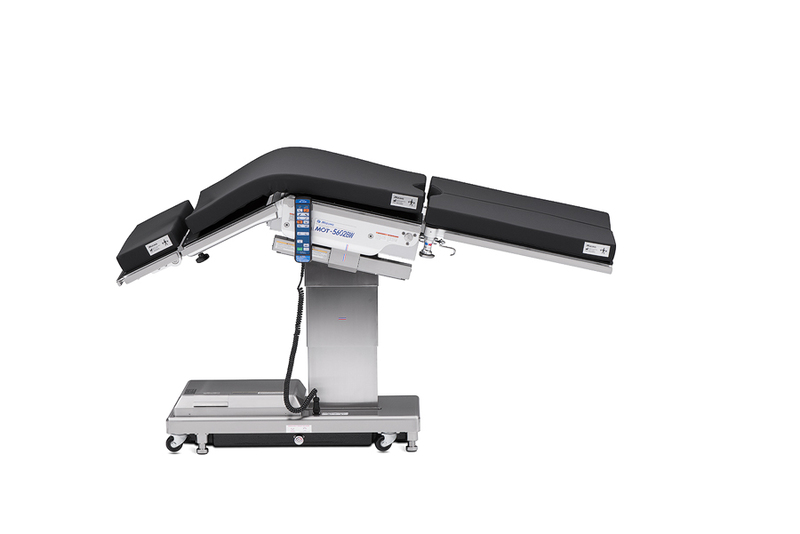 Mizuho OSI offers the largest selection of Rotating Top mobile General Surgical Tables with 220° table top rotation. 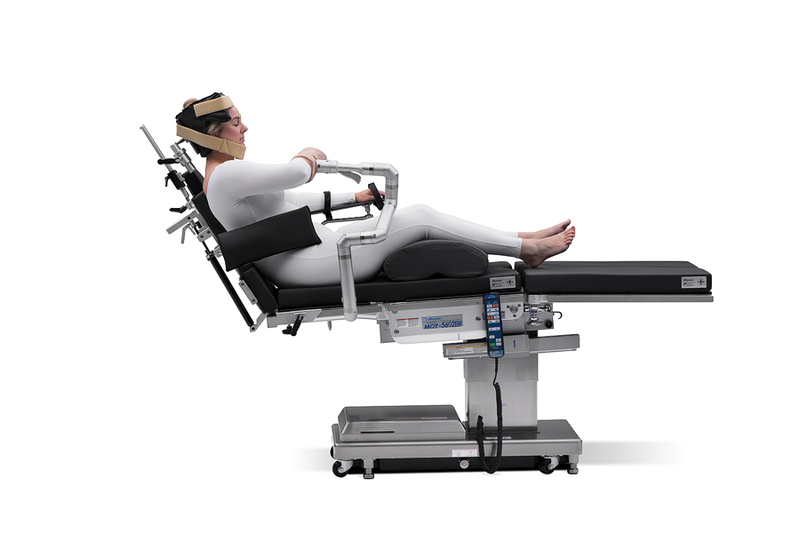 With a low height of 60 cm and the highest patient weight capacity of 540 kg lift and 450 kg articulation the MOT-6702X is the perfect platform for bariatric surgery. 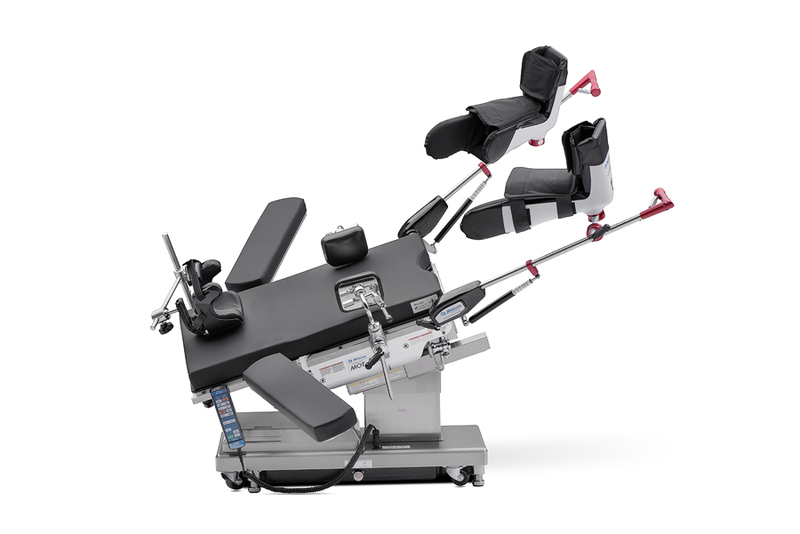 The 210° Table Top Rotation feature allows for lower or upper body surgery to be performed without interference from the table base. 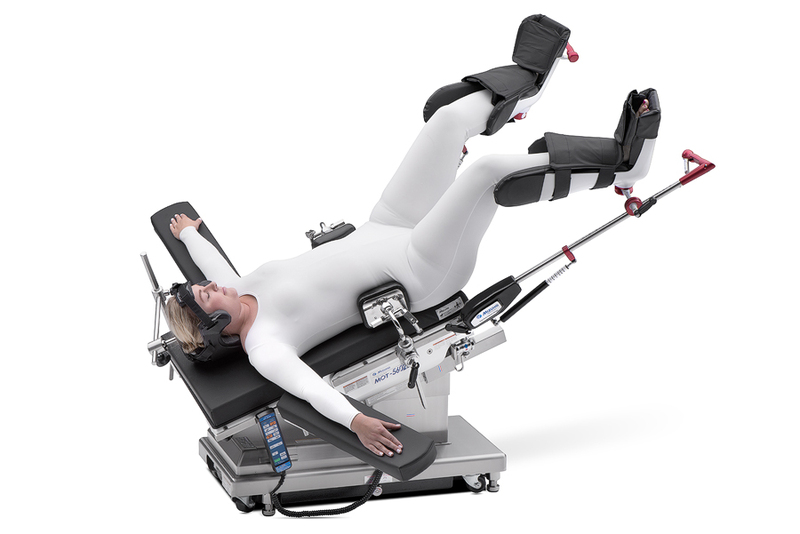 This enhances C-arm access and is ideal for surgeons when sitting is preferred. 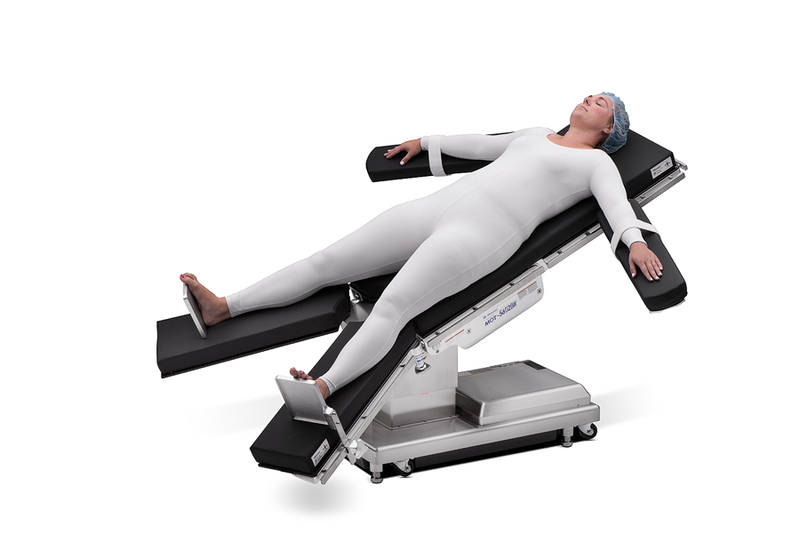 180° rotation allows surgeons to easily position patients for upper or lower body procedures. 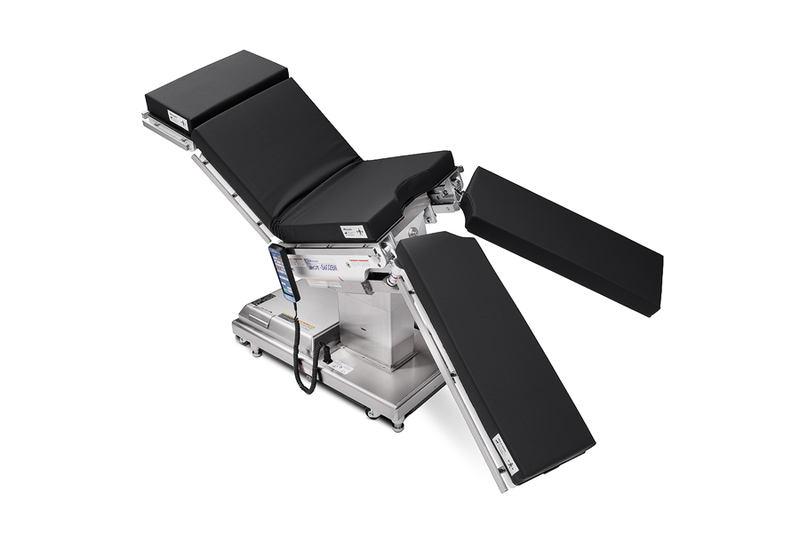 Rotating the top eliminates conflict with the table base, perfect for seated surgeons and fluoroscopy (C-arm) interface.